Thankfully a great northern diver has decided to stay a while on a reservoir that is quite close to home, so I took advantage of a couple of hours one afternoon when the clouds broke, to see it fishing near the dam end of Upper Bittell. Good to see though and it had no concerns with me being on the bank nearby, even when a friend arrived and his dog wanted to play ball! 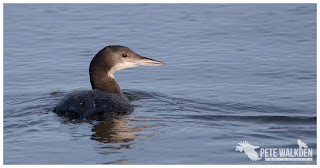 The diver would drift out to the middle of the lake, preen and then head back to the edge where the great-crested grebes were fishing, to join in. Unfortunately the lake has quite steep sides, so it is impossible (without being a member of the club there) to get any low-level shots. I asked some years ago if I could join and was told in no uncertain terms that I wasn't wanted. Their loss. In a slightly more accessible area, a landscaped quarry not far from Hinksford (Staffs) a rather more exotic bird has made its home. 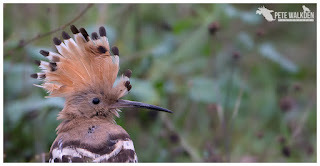 A hoopoe, something I've not seen in the UK for years and tempted me over on a day forecast to be dry, which of late is unusual. Finding the bird was easy as there was a local on site and he'd seen it moments before I arrived. 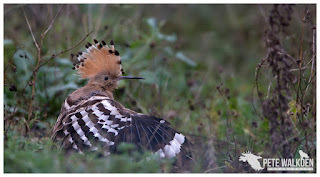 Initially it was feeding in a fenced off area, and it was here that we managed to get some decent views as it preened. In doing so, it would occasionally stretch its wings and raise that fantastic crown. 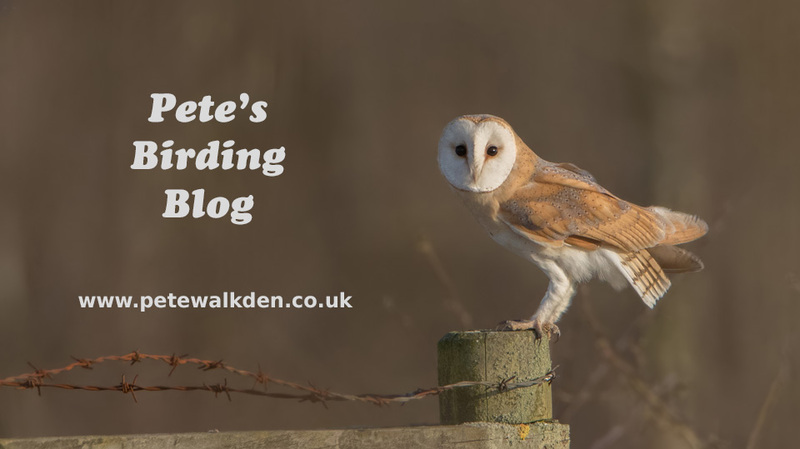 I had hoped it might pose on a stretch of the fence line, but it chose to fly out and on to the grassy slopes, where it continued to feed, pausing after any large grubs were unearthed and wolfed down, for a short doze. Although wary of the growing band of photographers and birders watching it, it wasn't put off its feeding. It actually seemed to be watching people as they wandered around, before getting back to the business of rooting out large grubs. On a rare sunny day when I wasn't busy, I made my way to Cossington Meadows, a place I have been to before for the short-eared owls. 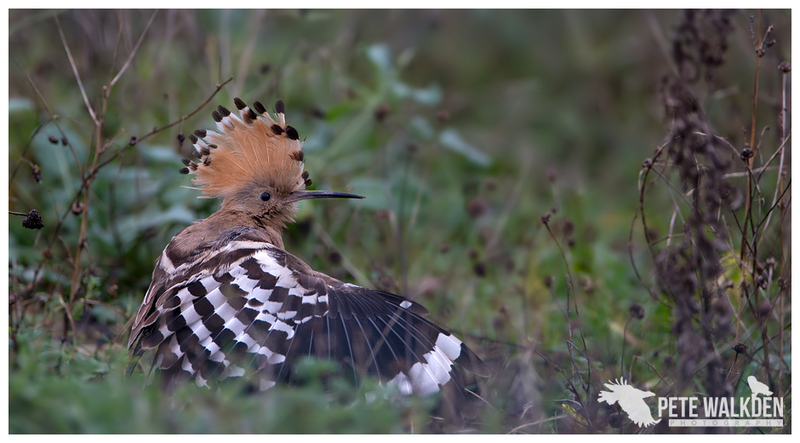 Annoyingly this time, despite the area being fairly quiet in terms of people wandering around (perhaps because of how muddy it was), I failed to take any shots for much of the day, and wished I'd visited the hoopoe again instead. Or gone to the pub with my brother, who called about midday... Still, in the end I was just pleased to see the owls, even if they did appear just after the decent light had faded and failed to come particularly close. So that wraps up 2015. The year has flown by. I just hope 2016 provides as many wonderful memories and experiences with wildlife as this one, but is perhaps a little bit drier!